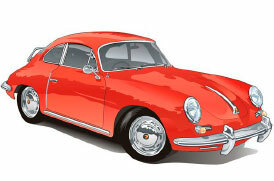 Urbans Garage Inc. is a restoration company specialized in complete restorations of Porsche 356 and early 911 based in Tartu, Estonia. Urbans Garage knowledge gathered over the years of hard work maximises cars investment potential, our restorations are performed pursuant to the highest demands of authenticity, where research and development are the key to our target of the finest products available on the market. The founder Urban Eriksson, a Swedish citizen who has lived in Estonia for the last 15 years, started his restoration career in his parents’ garage in Sweden with Motor Vespas and VWs, and realized that his dream of perfect restorations is a long-term undertaking, needs tremendous amounts of capital and countless attempts and failures. In 2001, Urban moved to Estonia in order to relocate the industrial production here from Sweden. Here, his ideas of the perfect restoration were somewhat easier to achieve since Estonia was a low-cost country with many good workers with good knowledge of old-school sheet metal work and paint work. People were listening and working together to fulfil Urban’s somewhat crazy ideas. This was the perfect foundation for achieving something bigger. Urban’s hobby turned into a career in 2006 when he stopped working for the Swedish industry and went on full-time with different car projects. First, he worked with different types of cars, but specializing in restoring early Porsches has always been the main target with Porsche 356 and early Porsche 911 being his strongest passion. Urbans Garage charges customers by the hour. Not a single specialist in the world can say exactly how much time the work takes, unless it is a very simple and small work, for example, changing of 356C battery box. Both restorer and customer must understand that in order to achieve something, we must set targets. Our aim is to look at a car first, and yes, we will fly all over the world if needed, and prepare the budget based on the available information. We handle problems in a world class craftsmanship way and do not take short cuts, that’s the only way to benefit from restoration in the long run.